…and so on? 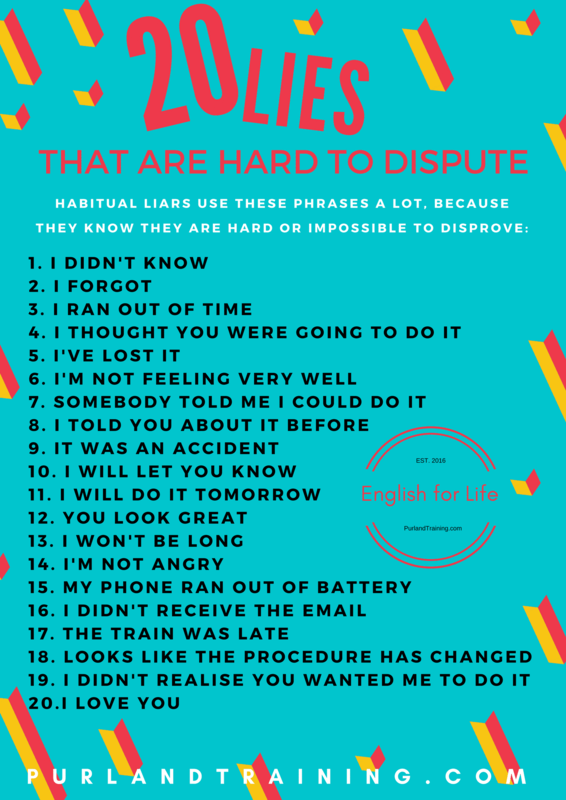 Habitual liars use these phrases a lot, because they know they are hard or impossible to disprove. It was an accident WE ALL MAKE MISTAKES, DON’T WE?